PERRIS, Calif. -- It was a record setting day as 61 thrill-seekers took to the skies on Saturday. The group of skydivers free fell their way to a new world record for largest aerial formation at Skydive Perris in Perris, California. 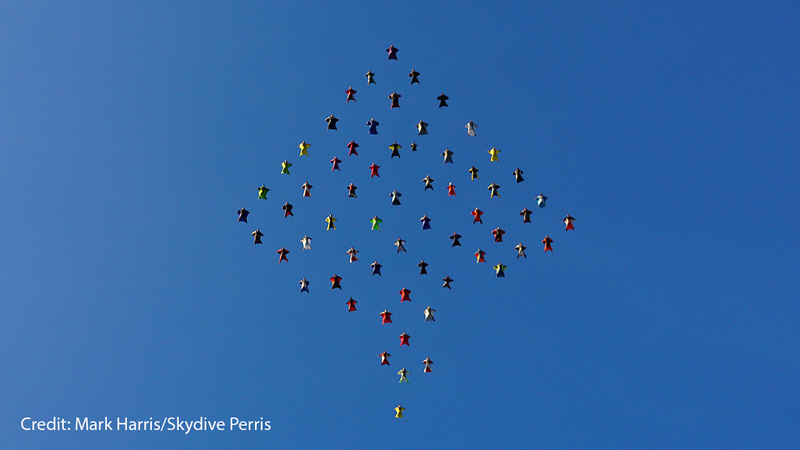 Jumping from three airplanes at 13,500 feet, the skydivers came together to form a diamond shape. The group covered a distance of more than two miles before scattering at 5,500 feet. Skydive Perris said the record holders traveled across the globe to participate, including skydivers from Canada, Israel, Russia, Finland, Poland, South Africa, Belgium, Australia, Luxembourg, Norway and the United Kingdom.